Do you want more inbound calls delivered to your call center reps, but you don’t understand the terminology of pay-per-call lead generation? Digital Media Solutions is here to help. In this article, we’ve answered five of the most-searched questions about pay-per-call lead generation. Click on your question below to see the answer. 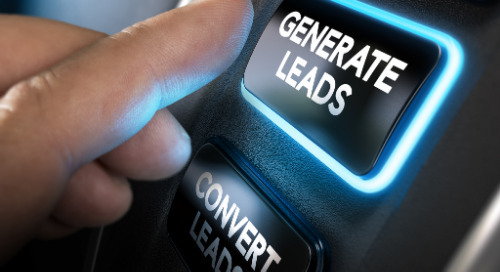 How are click-to-call leads generated? What are live agent transfers? Do I need different scripts for different types of inbound calls? Pay-per-call lead generation is the act of generating inbound calls, paying on a cost per call basis. Pay-per-call includes a number of methods of inbound call generation, including some that are consumer initiated and additional methods that are call center agent initiated. Mobile search: Generated predominantly from Google search results, but may include second-tier search engine campaigns. Mobile display: Banner ads with call prompts. Email marketing: With the inbound phone number on the email creative, inbound calls can be generated. SMS: Text messages can include a phone number to drive inbound calls. Call center agent-initiated pay-per-call methods include live agent transfers, often called warm transfers or hot transfers. 2. What is click-to-call marketing? Click-to-call marketing is a form of pay-per-call lead generation during which a consumer clicks on a phone number in an advertisement to place a call from a mobile phone. Click-to-call marketing methods can include mobile search, mobile display, email marketing and SMS. 3. How are click-to-call leads generated? Mobile search: Generated predominantly from Google search results, but may include second-tier search engine campaigns. Mobile search campaigns can include both branded and non-branded campaigns. Because callers were actively searching and are often in the compare/buy mindset, mobile search pay-per-call campaigns typically generate high-quality inbound calls with high conversion rates. Mobile display: Banner ads with call prompts. Often with mobile display pay-per-call campaigns, the caller must dial the number on the banner ad instead of clicking on the creative. Email marketing: With the inbound phone number on the email creative, inbound calls can be generated. Email marketing generating pay-per-call leads can be deployed at times scheduled to match call center hours. SMS: Text messages can include a phone number to drive inbound calls. SMS campaigns require TCPA consent to message consumers, but artificial intelligence (AI) can be used to create two-way conversations that nurture consumers until they are ready to place an inbound call. 4. What are live agent transfers? Live agent transfers can be agent-initiated or consumer-initiated pay-per-call leads. Typically for agent-initiated calls, which are the majority of live agent transfers, call center agents place outbound calls to lists identified as consumers with potential intent for a product or service. Through lengthy conversations, agents qualify leads to confirm interest and match consumers to offers for which they are likely to convert. Agents also confirm consumers have time to continue the conversation before transfers are completed. Because of the time invested by the agent prior to the transfer, live agent transfers can result in high conversion rates. Live agent transfers are also called warm transfers and hot transfers. 5. Do I need different scripts for different types of inbound calls? Pay-per-call best practices encourage different scripts for different types of inbound calls. The scripts should map to the experience of the consumer prior to the call being placed. Call center agents should understand the creative that was seen by consumers for consumer-initiated inbound calls, and they should be familiar with the script used by the prior call center agent for live agent transfers. For many pay-per-call leads, advertisers are only charged if calls last a specific duration of time. Interactive voice responders (IVRs) can be used to help immediately disqualify calls that don’t match conversion objectives while getting interested parties to appropriate call center representatives quickly. Likewise, a short and concise script with early knockout questions can assist with quick qualification. Are you in the process of reimagining your pay-per-call lead generation win? 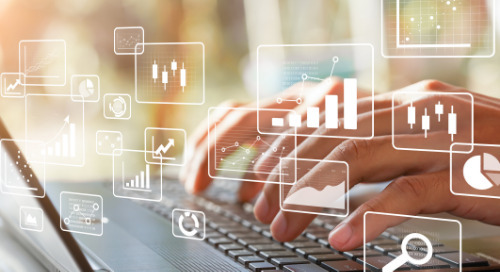 The team at Digital Media Solutions (DMS) loves helping marketers improve contact and conversion rates by driving inbound calls to their call center teams. We can help you visualize your victory and elevate your marketing strategies to achieve your marketing goals. Contact DMS today to take your pay-per-call lead generation to the next level. Important Note: We believe there is no such thing as a stupid question, so feel free to ask us all your pay-per-call lead generation questions when you reach out. This article is part of our “Ask a Stupid Question Day” series, in which Digital Media Solutions is answering 55 questions about digital marketing to celebrate the September 28 holiday. Additional articles within this series cover digital marketing, performance marketing, lead generation, affiliate marketing, paid search, email marketing, SEO, content marketing, programmatic and social advertising.